Your back was flush against his front, his knees on either side of you and serving as arm-rests for your elbows. Head resting back against the crook of Tendou's neck, it would be very easy for you to turn and press a kiss to his chin. Tendou's saucer-like rounds were focused on the television screen, the corners of his mouth impossibly furled upwards. Perhaps anime was the trick for settling him down. "I knew you wanted to do that." You sipped from your mug and hummed, "Don't let it go to you head." "You have whipped cream on your lips." Before you could properly respond, the male's tongue slithered across your cupid's bow, ridding you of the white foam that resided there, and attempted to further dip into your mouth. You reeled back as deftly as you could, gaze intensely glued to the chocolaty liquid see-sawing within the ceramic mug. "You're gonna make me spill it!" 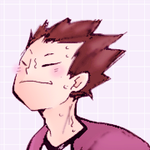 "It's not nice to take something I want away from me, [Name]-chan~"
Your spine sparked with trills the moment Tendou latched onto you, his salaciously wet muscle rolling against your skin. Tendou was already removing the mug from your grasp when a guttural moan vibrated at the base of your throat, his teeth grazing along your neck to the shell of your ear. Large hands groped the sensitive areas of your body and caused you to jolt with a squirm or two. Tendou liked it that way, even if it didn't require much effort at all to coerce you onto your back. 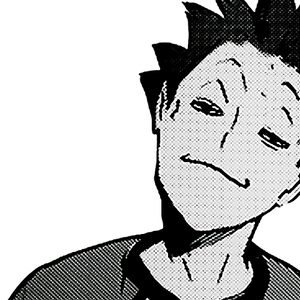 You know who writes great Tendou Satori fics. Heck, great fics in general? Yeah! She does! And it's also her birthday today! So this is for you, masochique! I hope you have a really great day, and thank you for being mah buddy! Satori-san might actually be a smot poker! Ahh, this was so cute! Mm. So. Tendou. You staying in the DMs this time or nah? Yessssss~ Oh hell fuckiiiiing yesss!! WHY IS THIS SO GOOD. yOU'VE BANISHED ME TO THE DEEPEST CORNER OF TENDOU HELL. THANK YOU!!! HE IS LITERALLY THE OPPOSITE OF CHILL WHAT?? THANK YOU FOR SAYING IT'S BEAUTIFUL!!! !